SAGE ( Satisfied Aging ) project started in May 2012 . 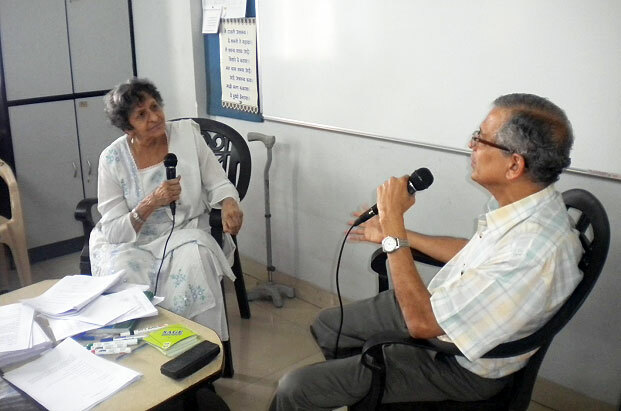 It aims at collecting information about Senior Citizens through a detailed proforma ( with a memory test in it ) filled in by trained community volunteers by interviewing . The information collected is unlike census data & contains many emotional details which trouble elderly people. The project is designed & managed by our senior team member Dr. Shubha Thatte who trained 120 volunteers in Thane , Pune & Nashik who have collected data for > 450 senior citizens . This is an ongoing project. To collect data base for sr. citizens on their emotional life, memory, factors which lead to dissatisfaction in old age & delineate factors leading to satisfied aging. To publish a book on this vast valuable information. Most importantly to prepare a module for people over 50 yrs. Who can work on their attitudes & life style so that they can have better ,satisfied second innings.